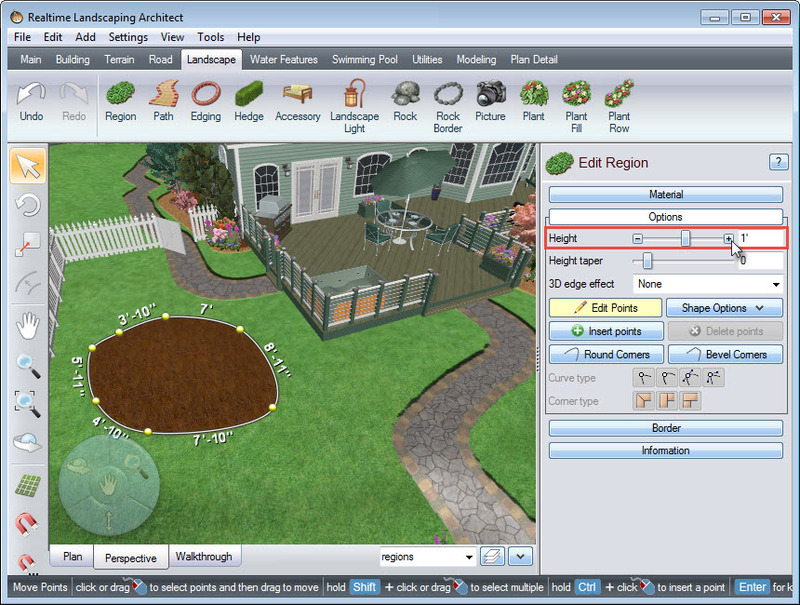 This guide will show you how to add a fill region. 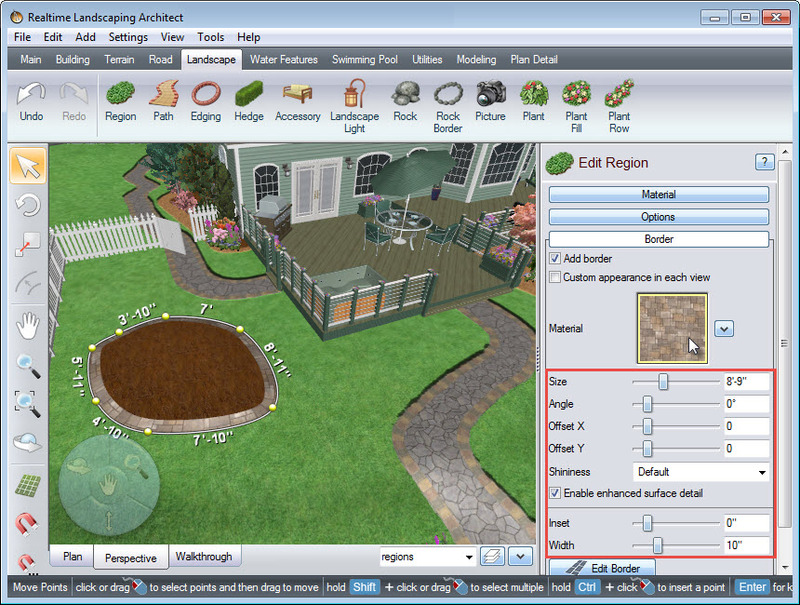 For the purpose of this guide, the region we will create is a flowerbed. 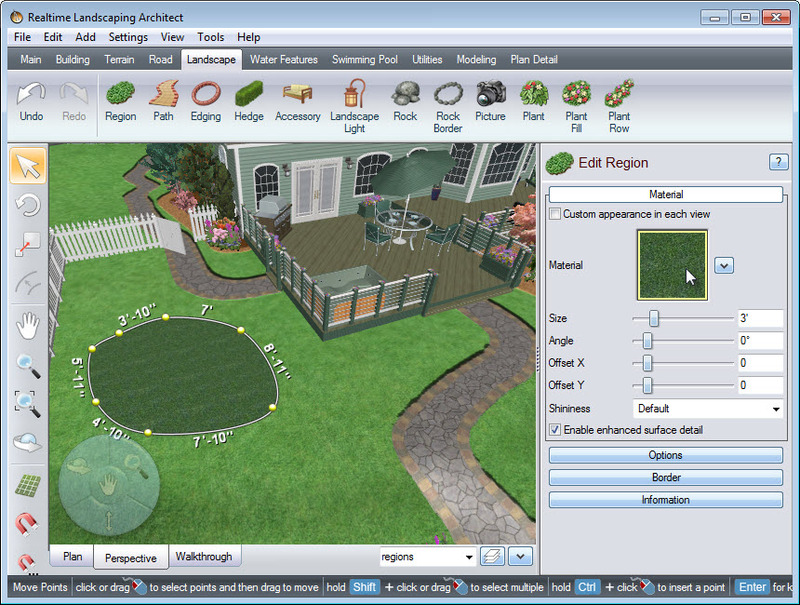 First, click the Landscape tab, then click the Region button. 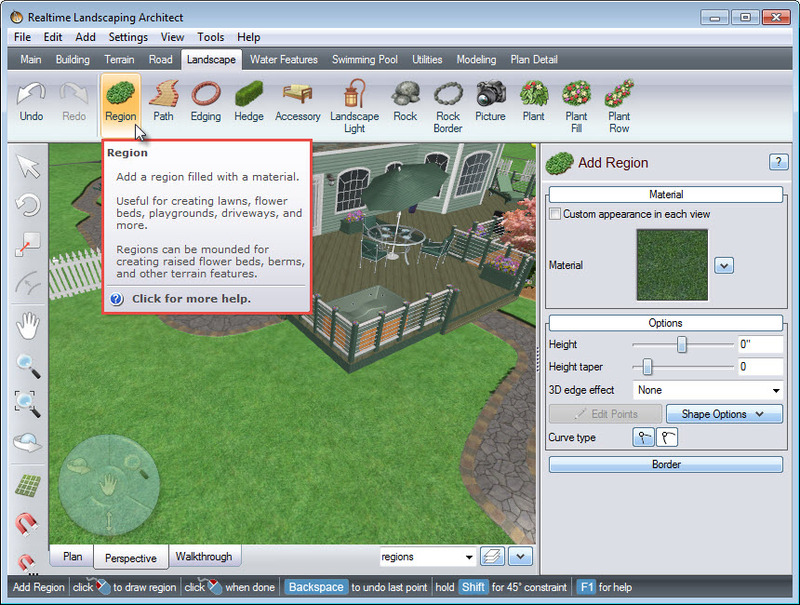 Left click to place points, and this will create the outline for your region. If you wish to undo the last point just press the Backspace key on the keyboard. When you are ready to place the last point, Right click, and it will finish your outline. You can also simply Left click on the last point to complete your outline. 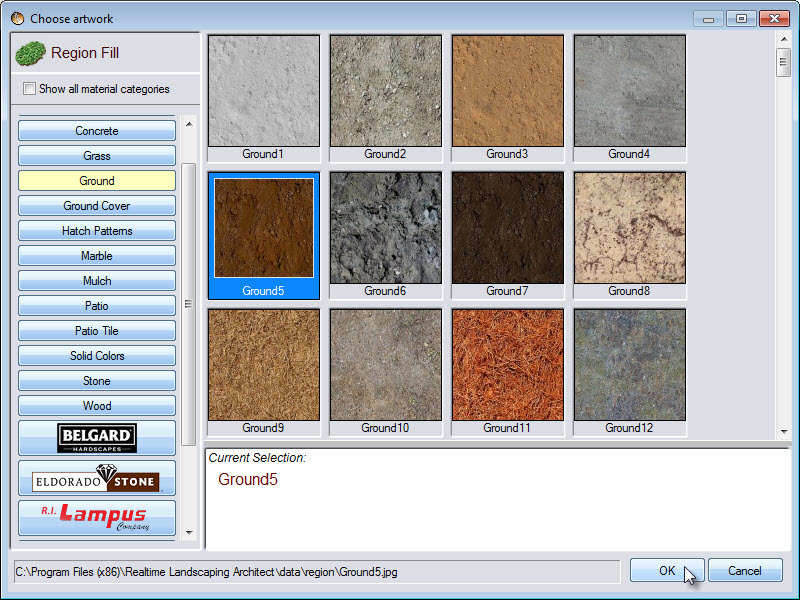 To change the material of your region, click the material image seen in the picture above, and it will take you to a selection of hundreds of different region fills, including some from national brands such as Belgard, Eldorado Stone, R.I. Lampus, and Unilock. Make your selection and then press OK. 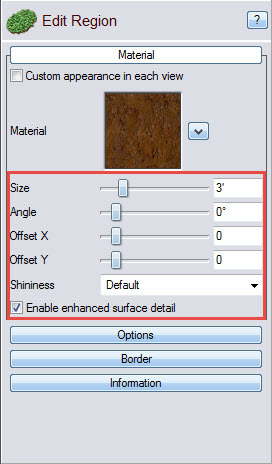 If you would like your fill region to be mounded or sunken, click the Options button and then edit the height you wish it to be, by using the slider or by manually inputting the height.